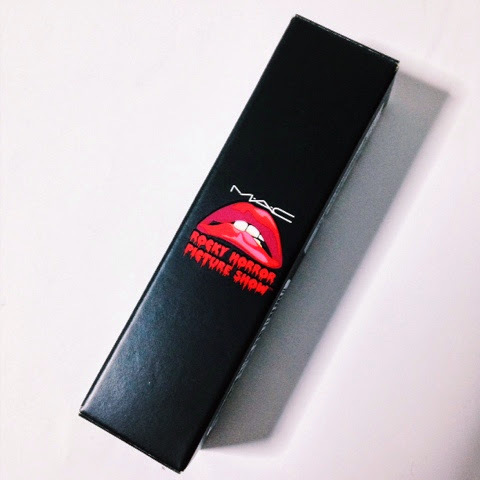 Earlier in September 2014, MAC Cosmetics announced their new limited edition collection in honor of the movie's 40th year anniversary. The collection will carry 4 lipsticks (3 in matte finish and 1 in amplified), 2 lip liners, 2 studio nail lacquer, 1 pigment (loose color powder), 2 glitter (somewhat the same with pigment), 1 powder blush, 1 sculpt and shape powder (contouring and highlighting), 1 set powder, 1 greasepaint stick (more like an eyeliner), 1 eyeliner, 1 false eyelashes, and 1 eye palette. It's basically a complete collection! 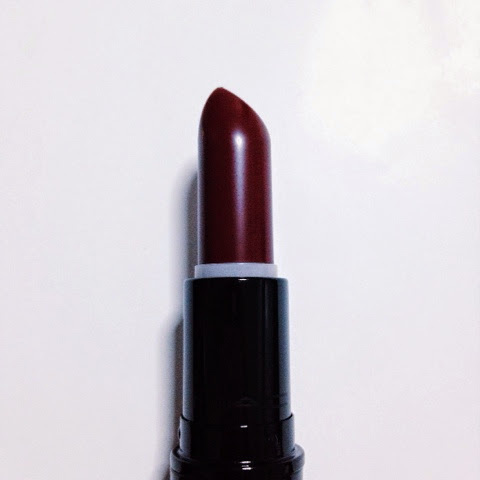 I have been looking for the right ox blood matte lipstick for me. 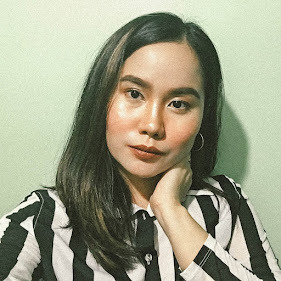 I've tried staying away from my favorite lipstick brand (MAC Cosmetics), but apparently, it still does not match the quality of MAC's matte lipsticks that's why I kept on coming back. 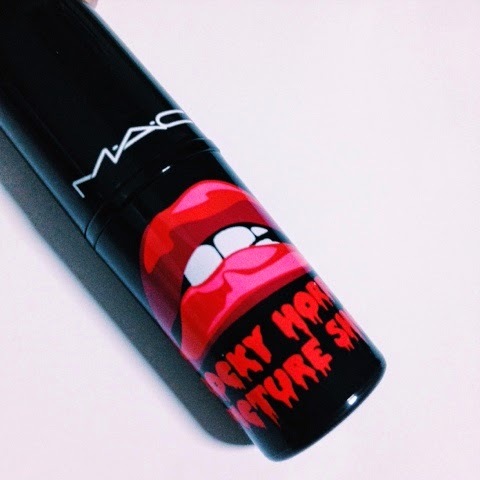 ]One day, I just found out that MAC Cosmetics' Rocky Horror Picture Show collection is already out here in the Philippines. I quickly called their branch in Eastwood--but they only have 1 lipstick shade in stock--not what I was looking for. So I called another branch, which is in Shangri-La, but apparently, they do not sell limited editions there. The only shops that carry this collection were in Eastwood, Glorietta, Megamall, and Mall of Asia. Mall of Asia was quite far from my workplace, and Megamall does not have a landline, so that left me with Glorietta--which is just a few minutes away from our office! What I did? I immediately went on a break and flew (figuratively) to their branch in Glorietta. As I was entering the store, I saw blogger Verniece Enciso leaving, in her Elsa from Frozen outfit (for a Halloween photoshoot) and all smiles, because she just had her make up done by the artists. ]As I was roaming around the store to check other available limited edition collections, I found out a few more limited edition collections available that day (of course with limited availability, some of them have products that are sold out already)--Viva Glam Rihanna, Brooke Shields, Rocky Horror Picture Show, The Matte Lip, and Brows Are Now. 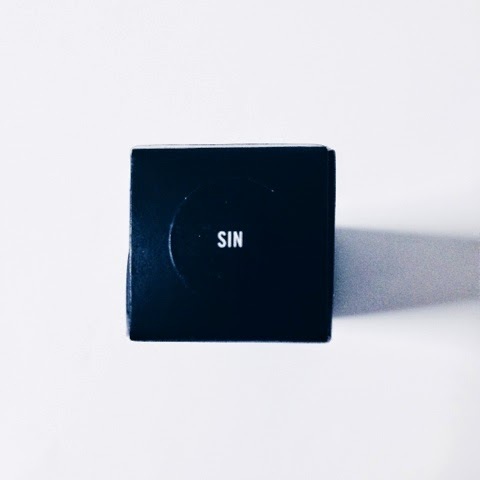 So I checked every collection, swatched the lipsticks I liked, then I noticed what both The Matte Lip and Rocky Horror Picture Show collection have in common--this matte lipstick in Sin! The only difference though is the price. 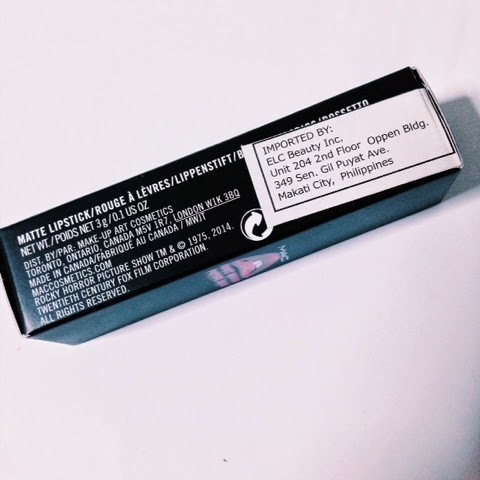 If you buy Sin under The Matte Lip collection, it's for Php 1,000 with their regular tube, while from the Rocky Horror Picture Show collection, it's for Php 1,100--with the limited edition tube. But of course, I availed Sin under the Rocky Horror Picture Show collection! 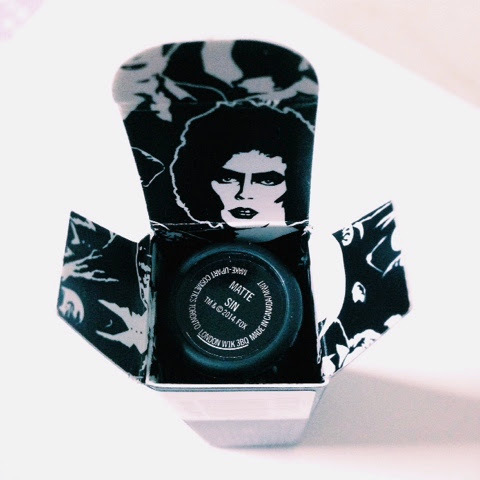 It comes with a limited edition (tee hee) box for the RHPS collection. Trick or treat??? Treat of course! 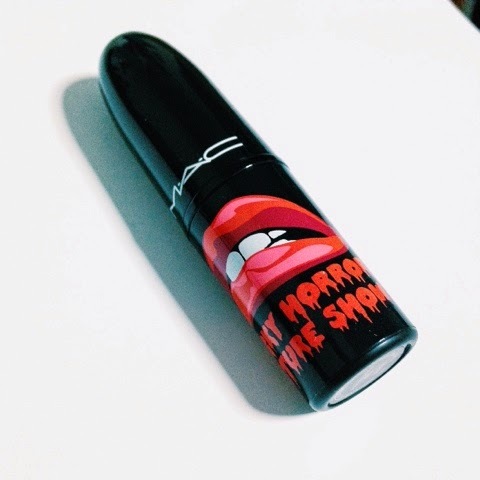 MAC Cosmetics released this just in time for the Halloween! ]Going back to the ox blood loxblood thing... 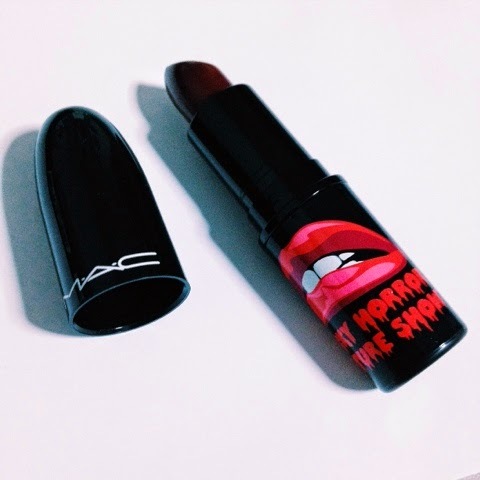 I've recently been into vampy lipsticks, that's why I was so thrilled to finally have this as part of my lipstick collection! 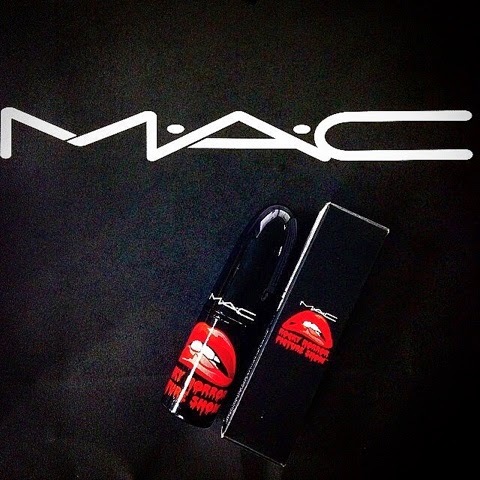 It's that dark reddish plum, with the formula somewhat similar to MAC's Ruby Woo lipstick--the extra dry matte formula. So I suggest you use a lip balm for the base. Me, wearing MAC Cosmetics' Sin lipstick! ]I have a few matte lipsticks from MAC Cosmetics but so far, this is the longest wearing and pigmented matte lipstick that I have from them. It lasts for more or less than 6 hours--without the need to reapply, as long as you don't eat anything that's oily, or liquidy. ]Another thing I love about this lipstick is that it suits any skin color. My skin is not too far, and not too light, so I think it suits me and my color. I bet it'll look good on dark skin too. But a fair skinned lady can carry this as well, so long as you won't overdo the "dark" color on your face--otherwise, you'll look like a vampire.